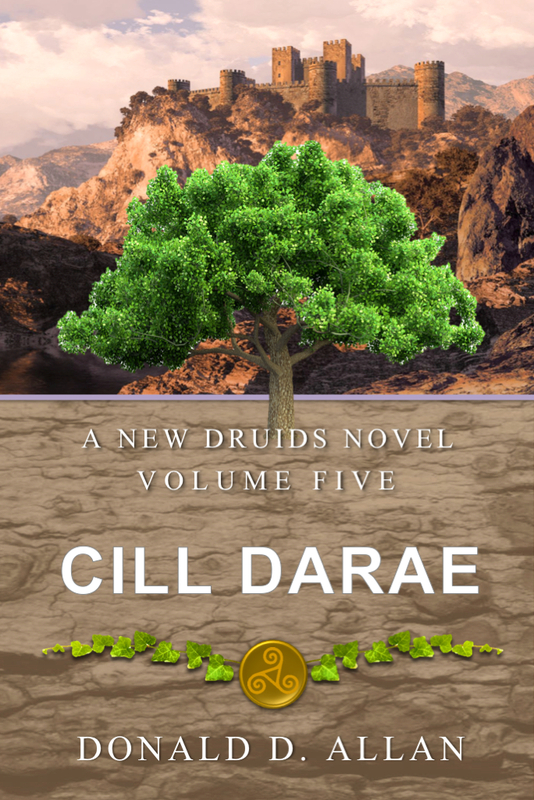 Cill Darae, Volume 5 of the New Druids Series is almost through the second draft. I have a few beta readers lined up and I am still interested in more. Beta Reading is a task. 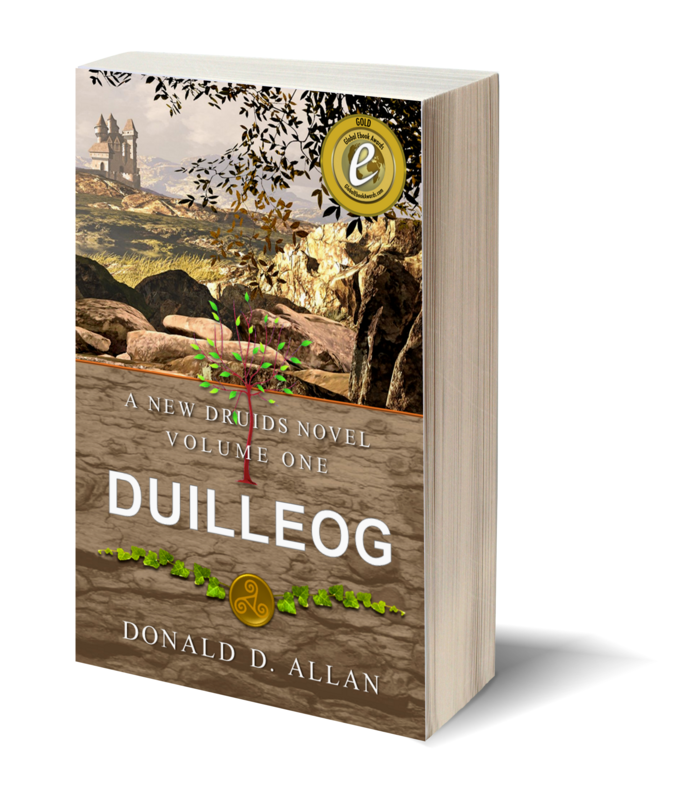 It requires a critical mind and sense of what good epic fantasy is all about. If you are interested send me an email requested to be considered and why you think you are a good fit. I adore urban fantasy. Its my dirty little secret. There is something about reading fantasy in a modern, urban setting that I really, really enjoy. There are some truly talented authors writing urban fantasy today [shoot me an email and I will share with you my list of favourite authors in this genre]. I would love to be one. I’ve wanted to write something in this genre for a while now and I think I have the start of a concept. That’s all: just a concept. 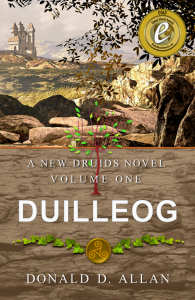 The New Druids series was always much more than a concept: I had visualised the entire series, you see, almost in one painful flash of insight. So, I need to flush out my urban fantasy idea a little (okay, a lot) more. Then I am going to try traditional publishing. I am prepared for rejection. I feel I have already become an accomplished author and have nothing to prove to myself. 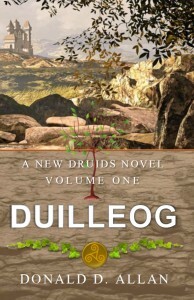 If it fails the big houses, then I will self-publish, again. The premise, in case you are curious, is a man finds a single torn page hidden inside an old book. It contains a spell for finding things, written in old English. He tries it, and it works. Then he wants more spells. But there is another group(s) looking for the same thing. And another trying to wipe magic from the world. And history, ancient history, from Arthurian legend starts to expose itself [with a nod to Mary Stewart]. Dun dun dun! Anyway, that’s the premise. It doesn’t sound like much, but with my imagination, I am sure it is going somewhere interesting! I can say that I love my heroes simple: Honest people like you and me that suddenly find themselves having to do something extraordinary. And not knowing why, or how. Not like a certain series where the main characters are all omnipotent demigods. They would have a problem, struggle through chapters and chapters and then suddenly realise: “Hey, we’re gods…” and snap their fingers. Yes, I hated the Belgariad… The struggle is real, dammit! I still have a sci-fi novel on the back burner. 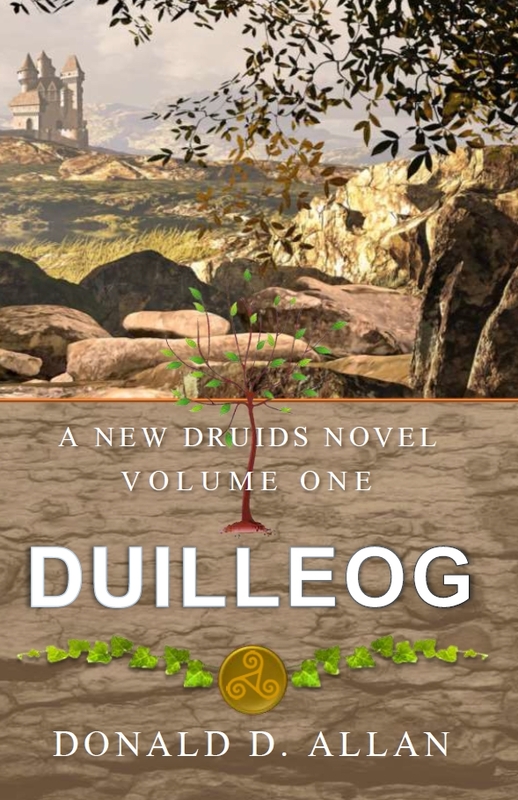 It is the prequel to the New Druids series, but set in today’s time. Yes. 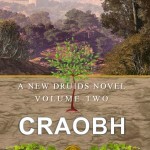 I have a sci-fi novel that prequels my fantasy world. 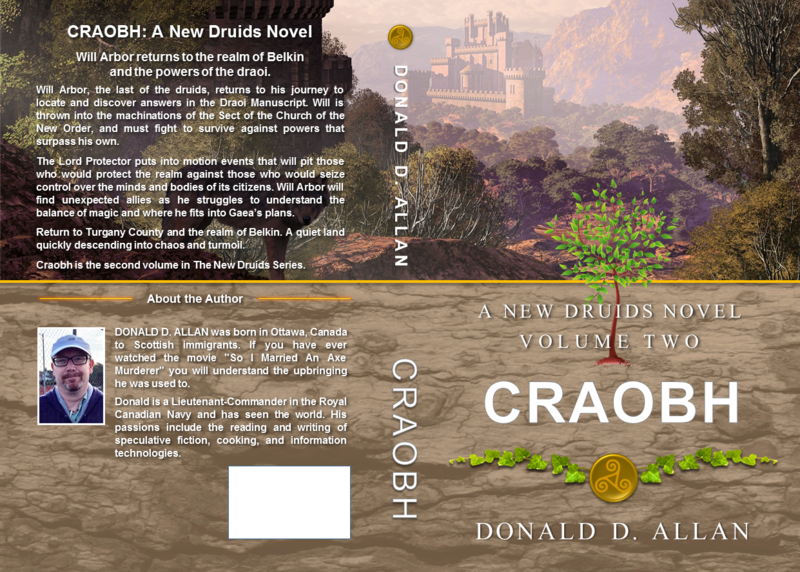 I had flushed this story out (single novel) a number of years ago. Then I wrote myself into a corner by writing something truly horrible (I had an AI carrying on a conversation with the protagonist’s subconscious…shudder). 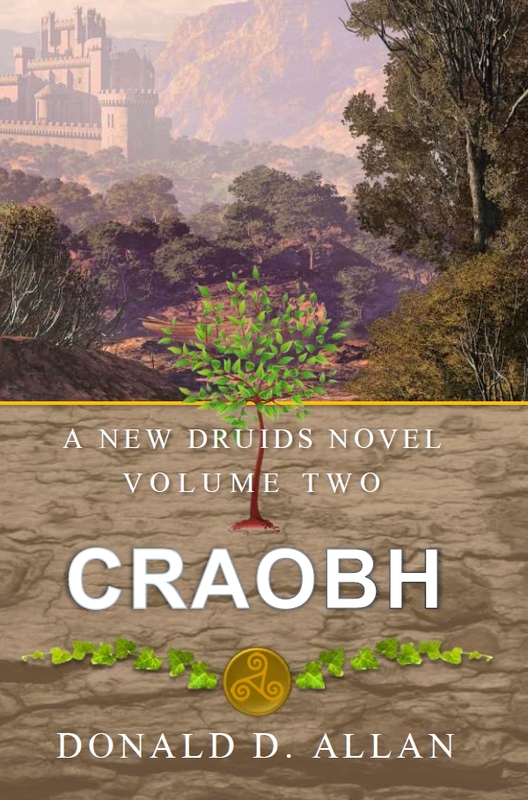 Happily, the New Druids series sprouted from that seed. But, I need to write it and I will. It’s not a truly happy ending kind of book. It’s a little On The Beach, if you know what I mean. It yells at me for not writing it. It has an attitude. Nasty thing. Available now for Pre-Order. Publishing on May 31st, 2018! Emailing Trees in Melbourne, Australia. I love this story posted in The Atlantic. I’m not a tree-hugger, but I love nature and understand the importance of trees to our continued existence on Earth. In other news, NaNoWriMo continues! 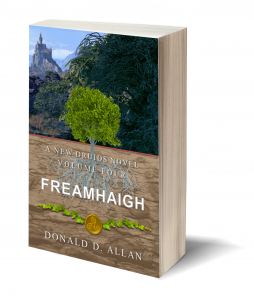 I’m now up over 30K words in Freamhaigh. Ciao! All I can say is: wow! Thanks so very much, Aimee!